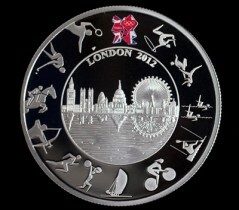 See the London 2012 Olympic and Paralympic Coins! The chances are you may have noticed that the Olympics is coming to London in a few weeks! 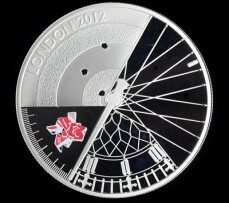 And as part of the celebration, The Royal Mint has made official London 2012 Olympics and Paralympic Coins. Designed by two British students, The London 2012 Olympic coin shows off the London skyline across the River Thames whilst the Paralympic coin uses the clock face of Big Ben between the spokes of a wheel and a stop watch. This is by no means the first time something like this has been done. In fact, the first Olympic coins can be traced back to 480BC, introduced as souvenirs by the ancient Greeks!